In the world of business, first impressions count. Your company’s entryway is arguably its most important feature, and without a modern, streamlined appearance that showcases your brand’s professionalism, you could send the wrong message to some of the most influential members of your network or community. With commercial glass, you can never go wrong. 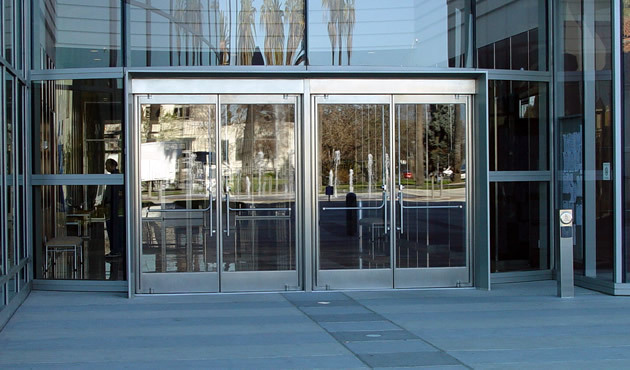 Whether you own a small brick-and-mortar shop or your company is housed in a complex corporate facility, glass entrances provide multiple functions. For one, they allow individuals to catch a glimpse into your building, which drives trust among your community and creates an inviting impact. For another, glass achieves a modern and professional appearance that communicates a commitment to quality – no matter what industry you’re in. When businesses in New York and New Jersey need a reliable source for commercial glass entrances, they turn to Monsey Glass. Having served the community for more than half a century, our team understands the demands of crafting durable yet appealing entryways for buildings of all shapes and sizes. Thanks to our skills and experience, our professionals are able to flawlessly execute projects of all scopes, from small, single doorways to elaborate corporate entrances. If you’re unsure of where to start, our knowledgeable experts will walk you through every aspect of the process. From design to installation, our professionals will ensure each step of your new commercial entrance project fits your budget and goals. You can choose among a broad range of styles and options to select the right fit for your office entrance, divider, or interior wall. And, because every project we complete is focused on aesthetics, functionality, and safety, you can rest assured your windows will look and perform beyond your expectations for years to come. To discuss your custom commercial glass entrance, divider, or office wall, contact Monsey Glass today! When home and business owners across New Jersey and New York are seeking the most powerful way to enhance the appearance of their dwelling, they choose custom windows from Monsey Glass. New windows don’t just add brightness and enhanced visual appeal to your property, either – they are also among the most financially rewarding ways to improve your home or business. With an average 74% return on investment (US News), new windows are a wise choice for budget-savvy home and business owners. Because Monsey Glass has more than 50 years’ experience providing custom glass to fit the unique needs of businesses and homes throughout New York and New Jersey, we are the area’s first choice when it comes to custom windows. Explore the benefits of choosing our team to outfit your home or company with new windows below. We have dozens of window styles to choose from, ensuring your end results will match precisely with your vision. From the simplest project to the most elaborate, no job is too big or small for our team. Replacing your windows could improve your home or business’s energy efficiency, too, thereby decreasing your monthly living or operating costs. Our modern window options are more energy efficient than ever before, helping you to keep your home or business comfortable and prevent energy loss. Should you ever decide to sell your property, new windows can add value to your home or business location. In fact, new windows are considered one of the most sought-after features by prospective home buyers. Even if you don’t intend to sell any time soon, you’ll still be able to enjoy brighter views and energy savings. Most importantly, the Monsey Glass difference ensures you’ll receive the best in terms of affordability, quality, and professionalism. We focus on aesthetics, functionality, and safety to deliver dependable solutions you can count on. Contact us today to begin discussing your new windows!